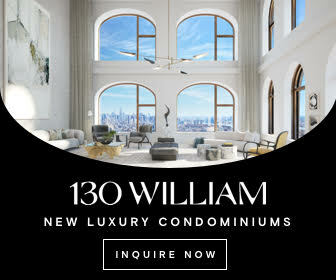 The audacious engineering plan is part of the developer’s strategy to create a new marketing and retail platform, quite literally, to appeal to a larger international audience with the latest in advertising technology and new experiential strategies in the realms of retail, dining, and hotel space. 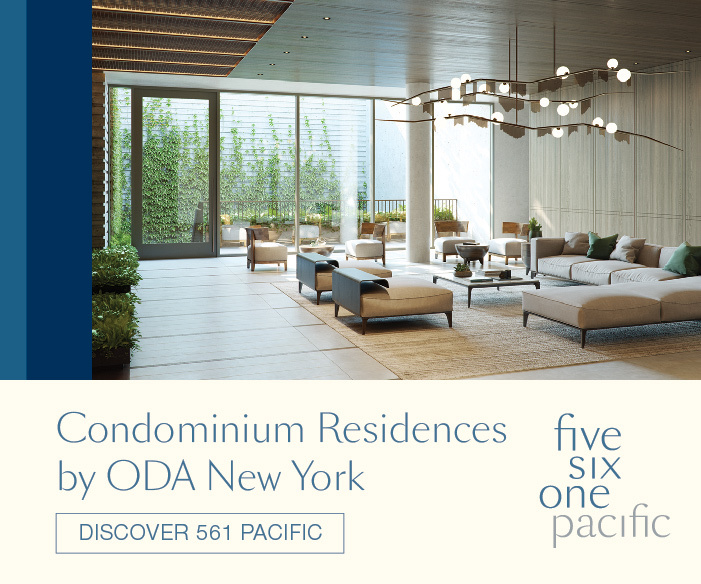 From ground level, tourists and visitors will enter through the 100-foot storefront and come through the 15,000 square foot retail space on the first floor. Going up are the nine floors of additional retail totaling 75,000 square feet. 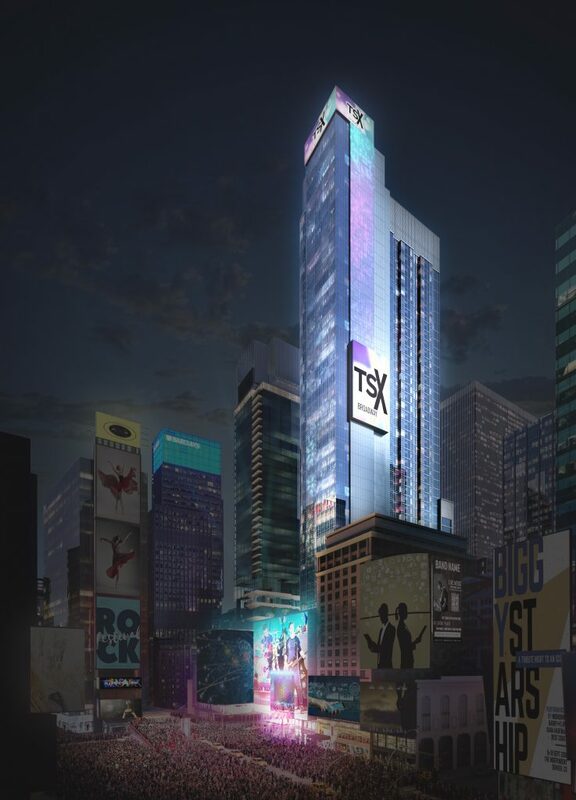 Along West 47th Street, a separate entrance to the dining portion of TSX Broadway will be created, spanning 30,000 square feet and marked with a 90-foot exterior sign. The third floor will have a permanent public outdoor platform which will cantilever over the sidewalk along 7th Avenue 30 feet in the air, across from the TKTS red stairs. It will be suspended among a massive 18,000 square foot LED screen that wraps around the corner of the tower’s 10-story podium. This will also be the main floor to the Palace Theater when lifted to its final elevation. 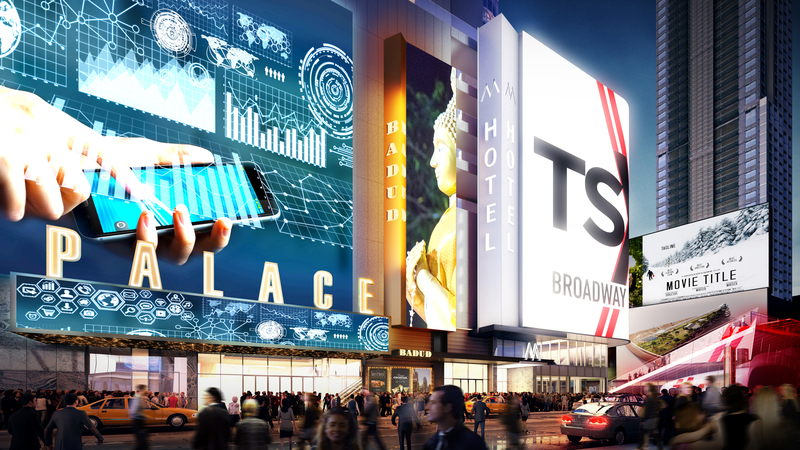 An outdoor terrace dedicated to food and beverage space and measuring 10,000 square feet will be situated above the LED signage, becoming the largest space of its kind in Times Square. 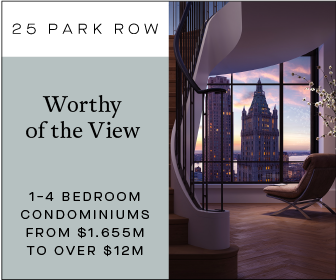 The views overlooking Father Duffy Square and the rest of the crossroads will be expansive and immersive. 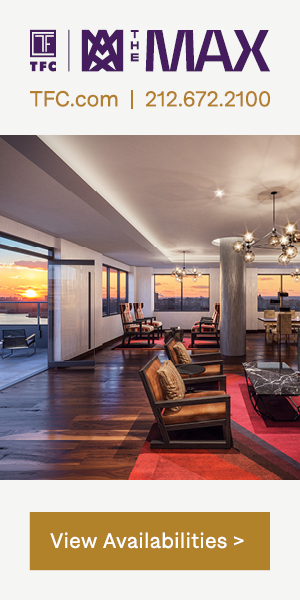 The rest of the building will house a 699-key hotel with several dozen rooms even featuring floor-to-ceiling windows. 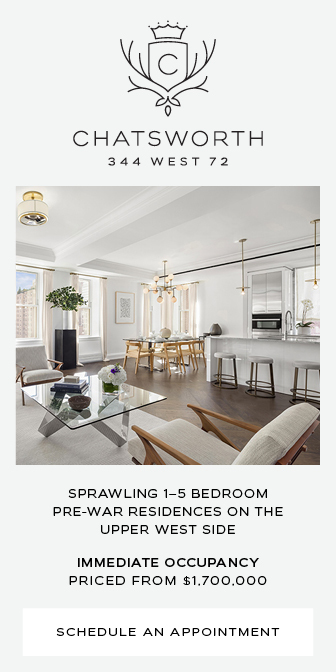 The upper floor will house “Ball Drop Suites,” thusly named due to the visual alignment of the New Years Eve ball from up above the crowded streets during the annual celebration. As demolition of the Double Tree Hilton begins in a few more months, the 1,700-seat Palace Theater will be preparing its $50 million renovation. The interiors will all be restored along with the integration of new structural components as the new building begins to go up around it, above and below. Click here to read more about the extensive undertaking plan to lift the theater. 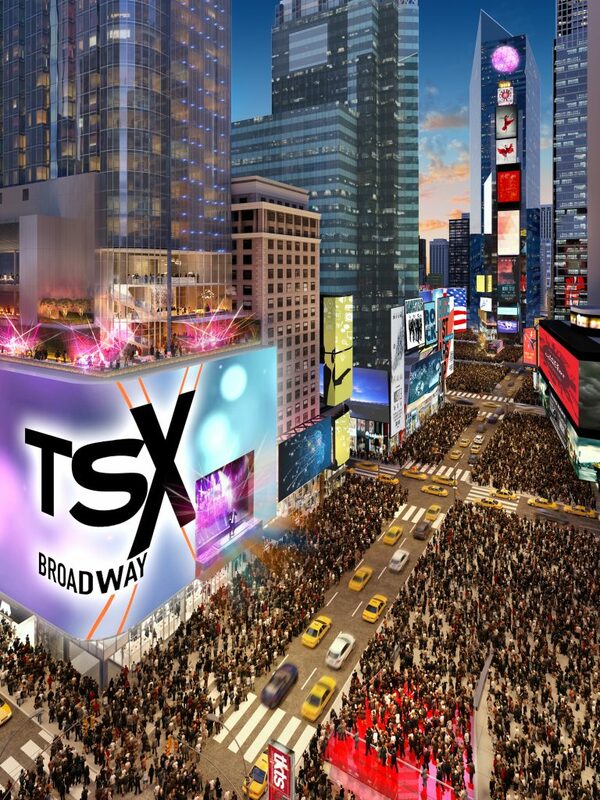 No official completion date for TSX Broadway has been announced, but sometime after 2020 is most likely. 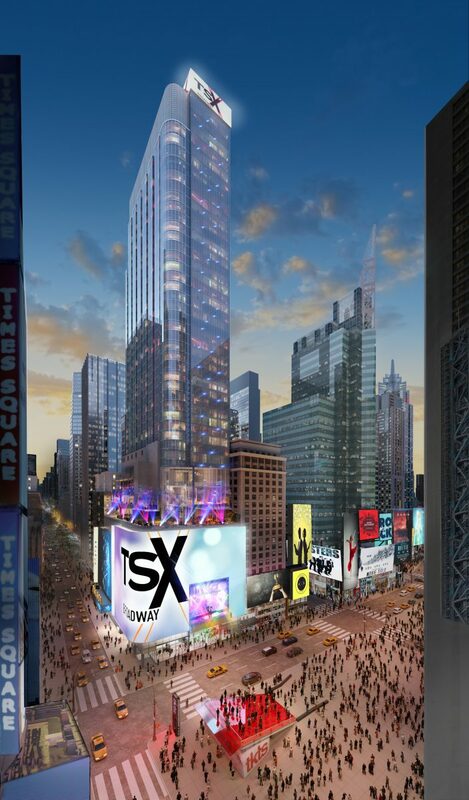 5 Comments on "Demolition of 1568 Broadway Set to Begin This Winter For “TSX Broadway” in Times Square"
Please pardon me for using your space: Praise and admiration from it comes that you landing here. Excited decorate with beautiful energy. Demolishing the existing 43-story tower. Wild. with this undertaking, and especially, the final result. Will people be exposed or protected from the EMF involved? How many rooms did the doubletree have?